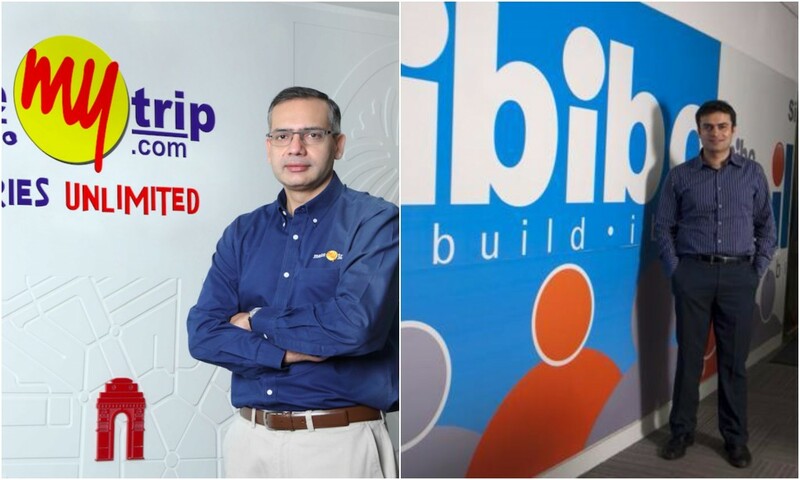 In the biggest consolidation move ever in the Indian online travel industry, market leader MakeMyTrip has agreed to merge with rival Ibibo Group. “The combination will bring together a bouquet of leading consumer travel brands, including MakeMyTrip, goibibo, redBus, Ryde and Rightstay, which together processed 34.1 million transactions during FY2016,” MakeMyTrip said in a statement. The acquisition valued Ibibo at $720 million (Rs. 5000 crore). After this acquisition, the combined entity is valued at $1.8 billion (Rs. 12,000 crore). MakeMyTrip shares have risen 42% in early morning trading since the announcement. The acquisition means that some of India’s top travel brands – Redbus, Ibibo and MakeMyTrip – have become one combined entity. Following the closing of the proposed transaction, MakeMyTrip founder Deep Kalra will remain group chief executive and executive chairman. Naspers and China’s Tencent that own 91% and 9%, respectively, of Ibibo, will together own 40% stake in the combined entity. NASDAQ-listed MakeMyTrip Ltd and ibibo Group, which is co-owned by South African technology group Naspers Ltd and China’s Tencent, have agreed to combine their business in the biggest consolidation move in the online travel agency (OTA) business in India. The move has created a huge new player in the Indian travel and hospitality business. The merger will allow the group move leverage with prices, and could signal a slowdown in discounts in the sector. The combined entity will also take on Yatra, which itself is in the process of getting listed on the NASDAQ.